Jian Ghomeshi, CBC report: Internal investigation documents inappropriate behavior, bad management. 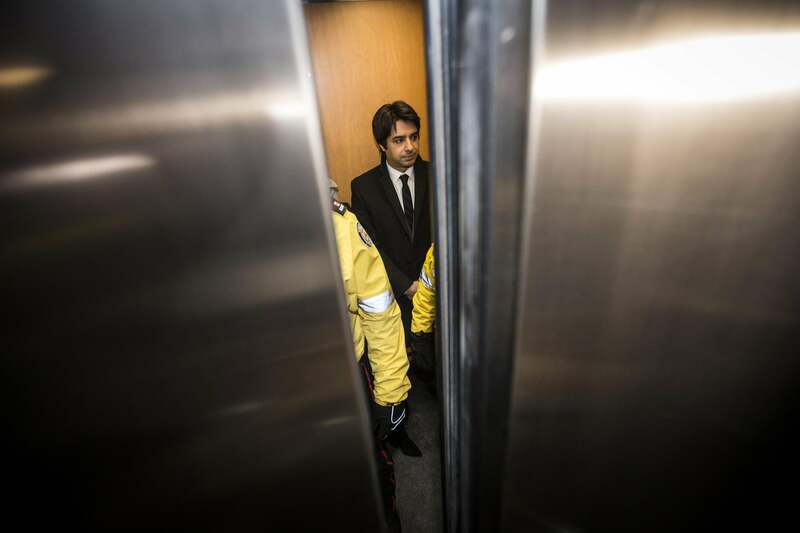 Jian Ghomeshi at a Toronto court appearance in January 2015. The report, compiled from voluntary interviews with CBC employees, also documents disrespectful and abusive behavior by Ghomeshi that was not sexual in nature. Much of the report addresses management’s complicity in Ghomeshi’s actions, asserting that a widespread company belief that “people who occupy the role of an on air host inevitably have big personalities, big egos, and big demands” created an atmosphere in which Ghomeshi’s transgressions went unchallenged. Shortly before the report’s release, the CBC said it has “severed ties” with its executive director of radio and audio and its executive director of human resources and industrial relations.